They never got to operate a franchise version for the original Piazza Gelateria and Café, which is still operating in Vaughan. 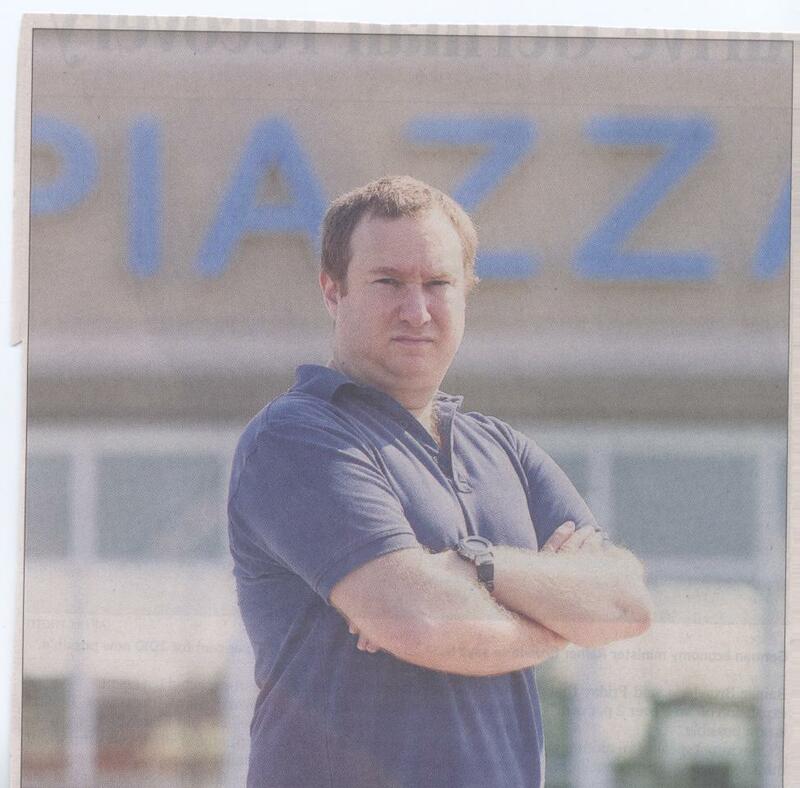 Nor have they recovered the $85,000 – mostly borrowed funds – Buk passed last year with a cheque to a smiling Mario Gimigliano, director of Piazza’s corporate persona, 2172940 Ontario Inc.
Sonia Karabin dreamed as a child of 5 she would own an ice cream store. Unfortunately, she and her husband, Ariel Buk, rushed into securing her dream with eyes closed and wallets open, a dozen years after arriving in Canada from Argentina. They never got to operate a franchise version for the original Piazza Gelateria and Café, which is still operating in Vaughan. Nor have they recovered the $85,000 – mostly borrowed funds – Buk passed last year with a cheque to a smiling Mario Gimigliano, director of Piazza’s corporate persona, 2172940 Ontario Inc.
“We have tried to work with him to get our money back, just to find out that he won’t answer the phone any more,” Buk, a security engineer, wrote me initially. Buk is deeply disappointed with Gimigliano, who offered the franchise for $300,000 and later agreed through his lawyer to repay the deposit gradually. He says he is disappointed with the lawyer they retained to negotiate the germs of the purchase and provide advice, as well as with Canadian law and business practices. “I’ve knocked on so many doors and there are no answers,” he said in an interview. But Buk and Karabin, who have yet to pay their first lawyer his $8,000 fee, must shoulder some blame. They should have looked more closely at the business opportunity, and their decision to use mainly borrowed funds after Buk had lost his job. Now they must recognize that Gimigliano may simply have his own problems, and there is nothing to gain from trying to speak with him or his family. Buk says the café in a Markham mall that was promised to him and his wife closed soon after opening, and so has an older store in Markham. Meanwhile, Gimigliano and his wife have been trying since last November to sell their family home, a sprawling bungalow with pool on a large, secluded plot of land in Vaughan. Gimigliano, who is also president of coffee roaster and importer Globe Coffee Co. Inc., is offering the home “as is” for the land value at about $1.1 million, slightly more than the original amount of three mortgages secured to the property. Gimigliano did not reply to messages we left on telephone and with his son at the Woodbridge store. Franchise law specialist Ben Hanuk of Davis Moldaver LLP says some franchise purchasers prefer to deal with an operator they can meet personally. Getting in near the start of a franchise chain may provide an opportunity to negotiate terms, and ask for personal guarantees beyond those of the corporation. But a company with few stores may also have few assets to claim in a lawsuit, and the owner may be heavily indebted. So this would be good to know ahead of time. “When things go sour, the ship sinks (and) the owner is essentially judgement proof,” says Hanuka, meaning you could sue successfully in court and find there is nothing to claim but the rights of the company name and the keys to a leased store. So prospective buyers should speak with operating franchisees to ask if the business is good before agreeing to join in. They should employ a lawyer and accountant to research details and completeness of the franchise disclosure document that’s required by Ontario’s Arthur Wishart Act, along with financial statements, lease agreements, any construction timetable and reported assets. Financial statements should be available within six months of a company’s fiscal year end, and they should be prepared on what’s called a review engagement basis if they are not audited independently, he says. Only later do they come to regret it.